Book Adventures: Children's Tuesday: Danyelle Leafty's Kindles for Kids! Children's Tuesday: Danyelle Leafty's Kindles for Kids! Danyelle is awesome! She is doing such a great thing--raising money for Kindle Fires for children in the hospital to use for reading! 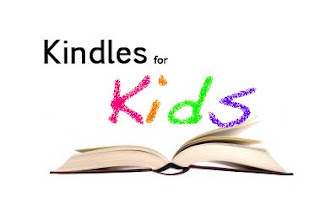 * The photo contest related to spreading the word about Kindles for Kids with the special flyer. * The "100 Reasons" giveaway! Readers and writers welcome.